Your wedding day is one of the biggest, most important days of your life – so no one would blame you for being a little nervous. It helps to stay cool, calm and collected before the celebration. You’ve spent months planning your big day, travelled thousands of miles to an exotic island location, and now your wedding day has finally arrived. Feeling a few pre-wedding jitters – particularly on the morning of your big day – is a totally normal reaction for most couples. In fact, if you are not a little anxious, you might want to ask yourself why. 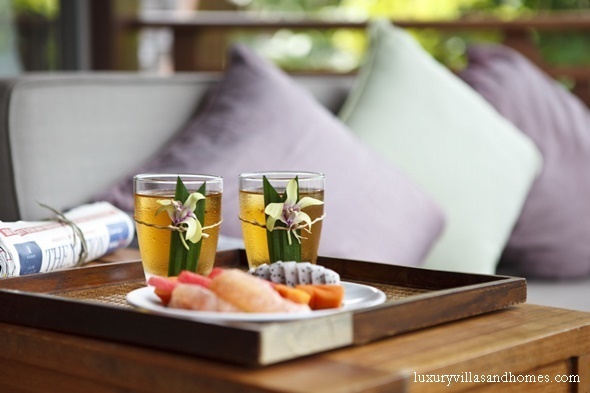 If you’re hosting your big day at one of Thailand’s luxury private villas, there are plenty of ways to relax and unwind before it’s time to start getting ready for the ceremony. Below are five of ways to calm your nerves and get into the right headspace for the union. Whether you’re getting married at home, or in an opulent Thai villa, your big day is going to involve plenty of people. You’ll be chatting all day, whether it’s to your groomsmen, in-laws or relatives, so it might be nice to start the day with a bit of peace and quiet to get your thoughts together. 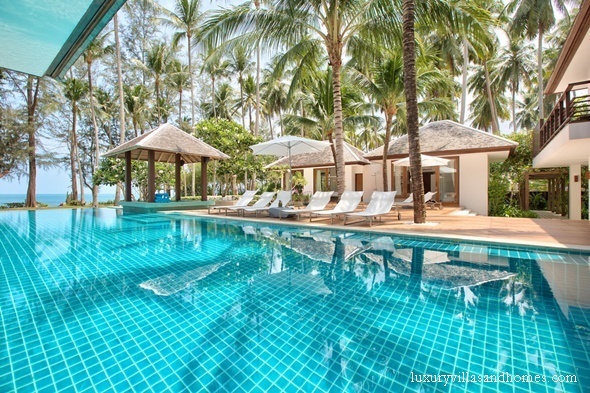 What better way to do this then by swimming a few laps in your villa’s stunning infinity pool, overlooking the ocean? Such a stunning setting will help get you in the right mood, and a little light exercise will energize you for the day ahead. If your nerves are getting the better of you, then perhaps a blissful massage is exactly what you need to relax? Many of Thailand’s most luxurious private properties feature their own dedicated massage rooms, or even your very own private spa. If you’re feeling slightly jittery, then you could pre-arrange with your villa manager to start the day with a relaxing half hour massage. A professional masseuse will be able to come right to your villa, so there will be no need for you to worry about rushing to get back in time. You’ll then come out of your massage feeling relaxed and ready for the day ahead. After you’ve enjoyed a massage it’s probably time to freshen up before your hair stylist and makeup artist arrive to start getting you ready for the day ahead. 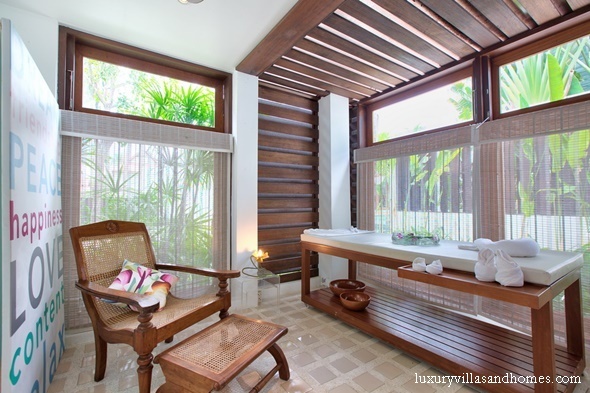 Enjoy the full spa-like experience by indulging in a long rainshower in your villa’s lavish bathroom. 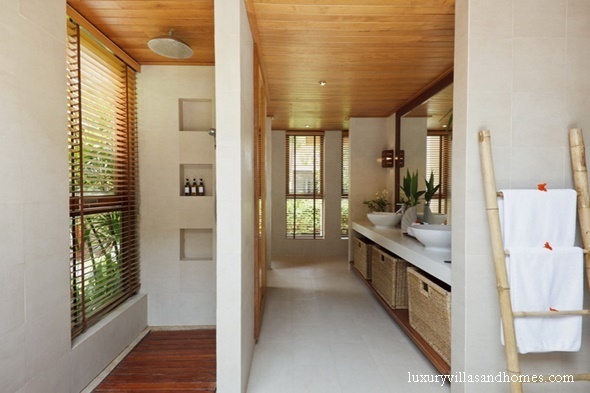 The aromatic scents of the lotions provided at the villa will invigorate your senses, washing your worries away. Once you step out of the shower, you’ll be feeling refreshed and ready for the excitement ahead. If you get up early to swim and have a massage, it’s likely that you’ll be feeling pretty hungry before its time to get ready for the ceremony. It’s vital to store up enough fuel for the day ahead so ask your villa’s professional chef to prepare a delicious breakfast and bring it to your room. If you’re feeling a little too nervous to eat, then a platter of fresh Thai fruit might do the trick. If you’re ravenous from excitement, then pastries, cereals and even eggs and bacon can be cooked and served on demand. Once you are fed and watered, you’ll probably have a bit of time to do a property walk-through with your villa manager and wedding planner and make a few pre-wedding checks. 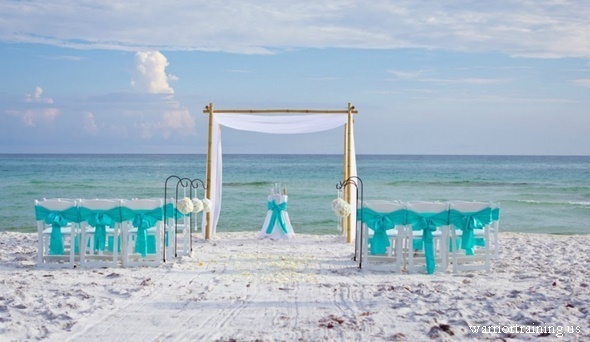 This may involve making sure all the decorations have been set up correctly, or checking that any signage you’ve prepared is visible, even making sure all the seats have been laid out to your liking on the beach. There will still be plenty of time before your guests start arriving to make any tweaks to ensure every detail is just perfect.